In Essex we are lucky to have Chelmsford City Racecourse, an exciting sports and events venue. We provide entertainment here for all events, weddings, Christmas parties, fundraising events & birthday parties. The function areas are spacious and can accommodate a multi table casino which can be set up in a casino ‘pit’ style. They can also very comfortably house our amazing 8 lane giant Scalextric track. The Scalextric is a big hit at any function and brings a truly unique factor to the event. 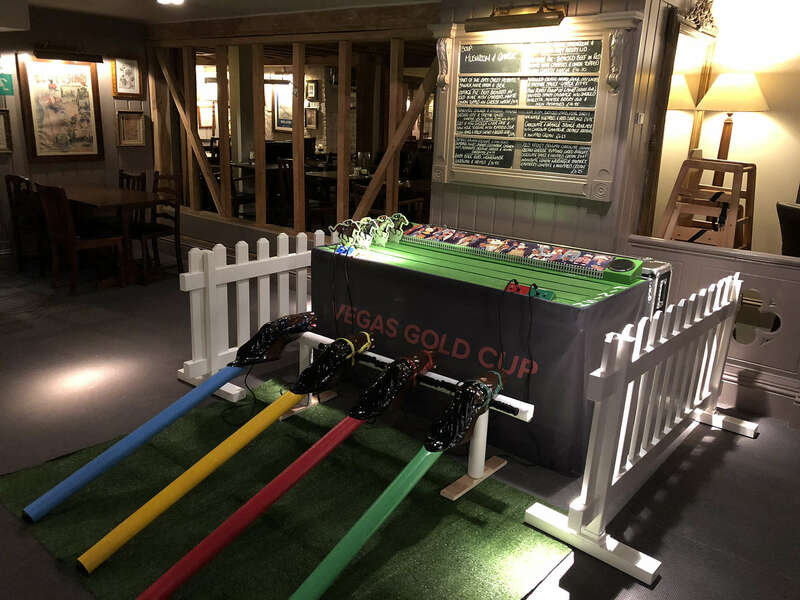 Also suitable for this venue is our Vegas Gold Cup Horse Race, a hilarious addition to any party & suits the racing theme of the venue.